View special events and closures. West Mesa Aquatic Center is the site of the City's new Olympic pool. This is an excellent pool for lap swimming, recreational swimming, exercise classes, swim meets (stadium seating to accommodate 800 spectators) and other activities. 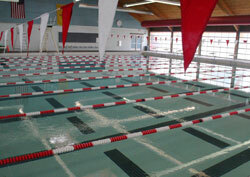 The pool can be set for eight 50-meter lanes or two dozen 25-yard lanes. 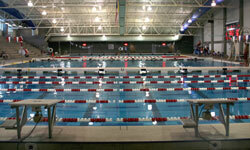 The pool also has two 1-meter diving boards and a 3-meter diving board. 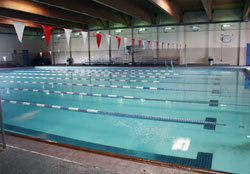 The pool's movable floor can be adjusted from zero- to 6-feet for various activities. 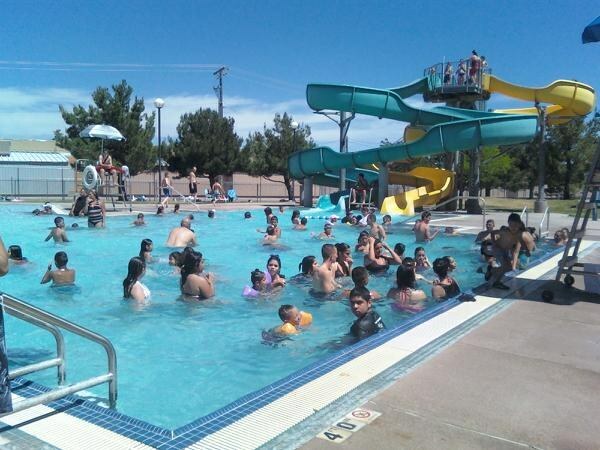 The West Mesa Aquatic Center also features an indoor recreation pool that has a massive water slide and a beach-like zero-slope design. It is handicap accessible and is great for birthday parties. 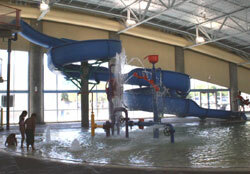 The outdoor pool is similar to the indoor pool but larger and has two water slides. A 25-meter by 25-yard swimming pool with a 3-meter and 1-meter diving board and an outdoor wading pool. 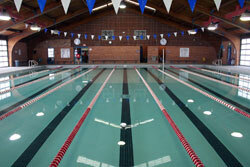 Los Altos Pool will officially be open to the public beginning March 11th at 6:00 AM. Learn more about the Los Altos Renovation. A 25-yard swimming pool with two 1-meter diving boards.